Yesterday I uploaded a couple of photos which I had taken with the DP2 Quattro as X3Fs, then converted into the DNG format with X3F Tools (Kalpanika), and edited in Lightroom 5.7. Most of these photos are nothing out of the ordinary, but in two shots, taken only seconds apart, it is possible to see the colored vignetting, which is currently one of the biggest disadvantages of X3F Tools, extremely well. For the purposes of comparison, I developed that photo and another problematic one in LR – after converting the X3Fs to DNGs using Kalpanika – and in SPP 6.3 respectively. In SPP I adjusted the sharpness to -2 and set the color mode to portrait, because exporting the 16-bit TIFFs this way makes them look the most like unedited DNGs out of Kalpanika. As you can see below, the color reproduction of the photos edited in SPP is much more realistic in the shadows (first photo) and the photos are free from the colored vignetting (both photos). 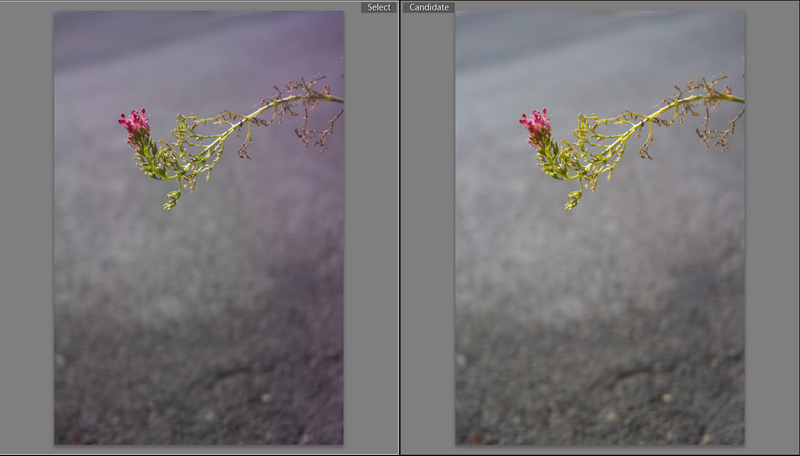 It appears that Sigma’s RAW converter analyses the entire picture for color shifts and removes them subsequently. In the next days I am going to take some photos with ISO400 and 1600 to get to the bottom of the differences in noise performance between the two converters. If you would like to see the full resolution JPEGs, you can find them on my Flickr account in the set SPP vs X3F Tools “Kalpanika”.